You may be asking yourself, “Cool verse. But what is the Wisdom of Solomon? I thought it was the Song of Solomon.” Well the Wisdom of Solomon is a book that was heavily quoted during the years Jesus was on the earth. Catholics consider it authoritative and you’ll find it in Catholic bibles. However protestants rejected it as apocryphal probably because the author and date are suspect. Any any rate, we can still gain something from it. Those who are wise[ will shine like the brightness of the heavens, and those who lead many to righteousness, like the stars for ever and ever. But the souls of the just are in the hand of God, and the torment of death shall not touch them. In the sight of the unwise they seemed to die: and their departure was taken for misery: And their going away from us, for utter destruction: but they are in peace. And though in the sight of men they suffered torments, their hope is full of immortality. At that time Michael, the great prince who protects your people, will arise. There will be a time of distress such as has not happened from the beginning of nations until then. But at that time your people—everyone whose name is found written in the book—will be delivered. Multitudes who sleep in the dust of the earth will awake: some to everlasting life, others to shame and everlasting contempt. There are also heavenly bodies and there are earthly bodies; but the splendor of the heavenly bodies is one kind, and the splendor of the earthly bodies is another. The sun has one kind of splendor, the moon another and the stars another; and star differs from star in splendor. So will it be with the resurrection of the dead. The body that is sown is perishable, it is raised imperishable; it is sown in dishonor, it is raised in glory; it is sown in weakness, it is raised in power; it is sown a natural body, it is raised a spiritual body. Those of you who have ministered to Jehovah’s Witnesses have likely had to defend this passage from the claim that Paul is saying Jesus was resurrected only in a spirit creature, as if He became Jesus the friendly ghost. (See “The Resurrection:Watchtower-Style“). Nonsense. If anything resurrected bodies are more substantial. Paul’s language of resurrection is that it is our physical bodies with added properties! “Imperishable” is added. They are raised in power. They are raised in glory. And when it comes to glory Paul falls back on the only things he can to describe them, astronomical objects (Sun, Stars, and Moon). No surprise given Daniel 12 above. One last bit of evidence that “shining” isn’t just metaphorical. Jesus’ body himself. Far from the Jesus the friendly ghost. His body can overpower Roman soldiers. It can seemingly (to the observer) appear and disappear apparently at will (John 20:26). In other words, I go to the images of my culture. Pop-culture. I never understood why people who wanted to see Jesus’ resurrected body as less than substantial thought his new displays of power (like appearing and disappearing) somehow made that more plausible. I just thought post-resurrection, Jesus’ body had changed, something had been added. 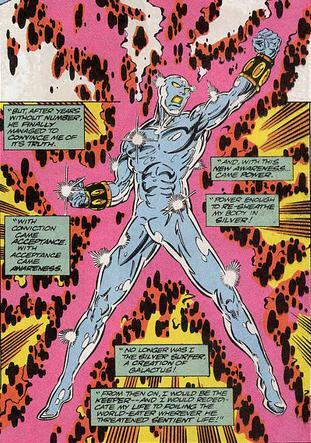 Sorta like when Silver Surfer above displays his new powers or this guy who glows with new power. (He’s the Sentry and an obvious rip off of a certain Kyrptonian with an stylized S on his chest, but that’s another blog) Jesus appearing and disappearing, cloaking himself so that others can’t recognize him and then revealing himself, and entering locked rooms and no one knowing how he got it, defying gravity (ascended into heaven), never struck me as “ghost-like” but more like a super-hero which was just fine. My point is that it’s not that hard for me to imagine literal “shining like stars” and sparks through the stubble. My childhood prepared me for it perfectly. 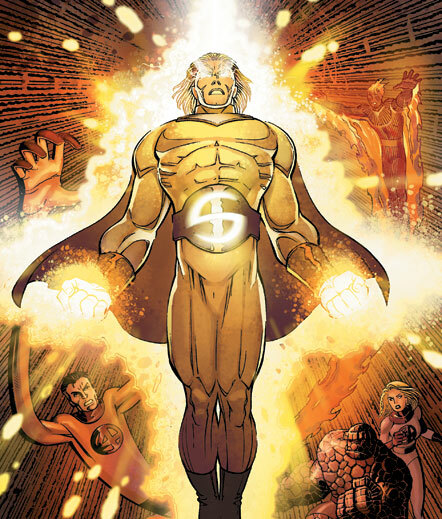 Resurrected bodies are somewhat like super-heroes with new powers. When the Wisdom of Solomon says that those resurrected beings will rule over nations. I have no problem imagining that. When C.S. Lewis says in the Weight of Glory that we must remember that the dullest most uninteresting person you can talk to may one day be a creature which ,if you saw it now, you would be “strongly tempted to worship,” that makes sense to me. I’m not founding any new doctrine. I’m just saying there seems to be more going on here than metaphor and symbol. While I fully disagree with the Mormon idea that we will become gods in a celestial regime crossing the line between creature and creator, I do get why they make that leap. 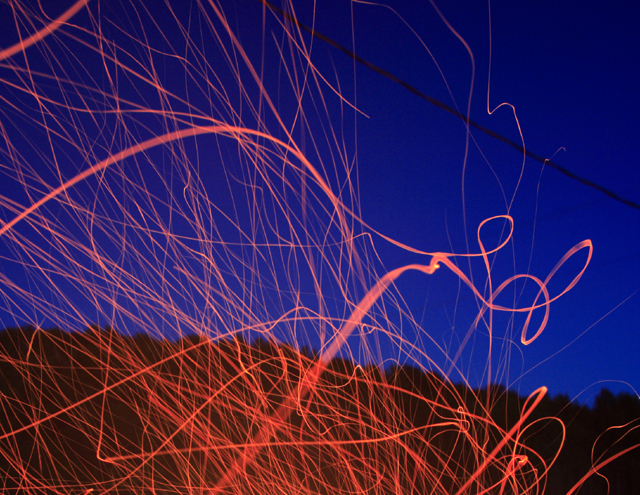 In resurrection, God is far less stingy with his glory than we might expect. Moses glowed after only spending a short time in God’s presence. 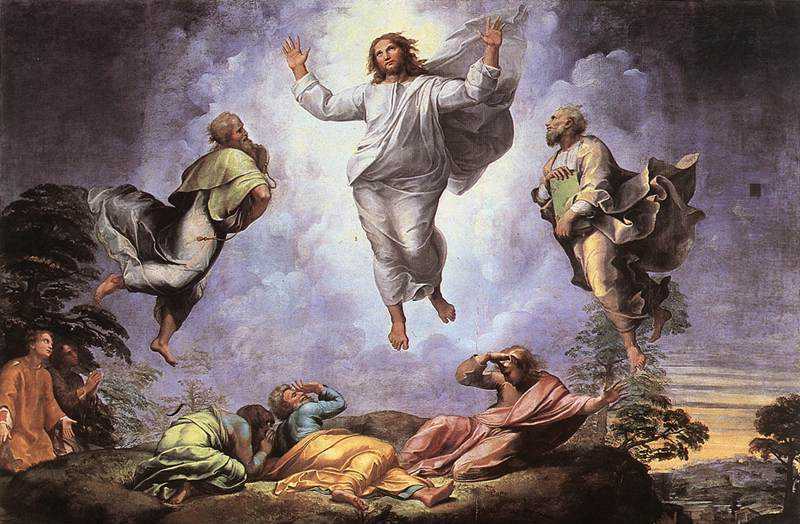 And we don’t think Raphael was painting a metaphor of the glory of God revealed on the mount of transfiguration. When Gary Habermas says that the disciples saw walking, talking eternal life when they saw the resurrected Jesus and that this was what they thought all resurrected people would be, I think we can assume that means, something far more spectacular than some ghostly existence. We don’t know what we will be like, but we will be like him. And whatever that looks like, it will be glorious and it will be the culmination of what God has planned all along. Great post. Did you realize you are basically describing the central understanding of the nature of our salvation in Christ from an Eastern Orthodox perspective (i.e., the doctrine of “Theosis”)? St. Athanasius’ work, On the Incarnation, fleshes out this understanding of the meaning of our salvation through the Incarnation of Jesus Christ. He is famously quoted as writing in this work that, “God became a man that men might become gods” (though, to be sure, this is not understood in a New Age nor a Mormon sense). This understanding is shared by St. Gregory Nanzianzus, St. Basil the Great, St. Ireneaus, St. John of Damascus, and many other key teachers in the early Church, nearly all of whom are Church Fathers for both East and West (see here: https://en.wikipedia.org/wiki/Divinization_%28Christian%29). The passage from Wisdom you quote from is part of the lectionary of the Orthodox Church and is used whenever a Church martyr is commemorated.